It started with two sweeping moves around the outside on the first corner, and it ended with two victories. 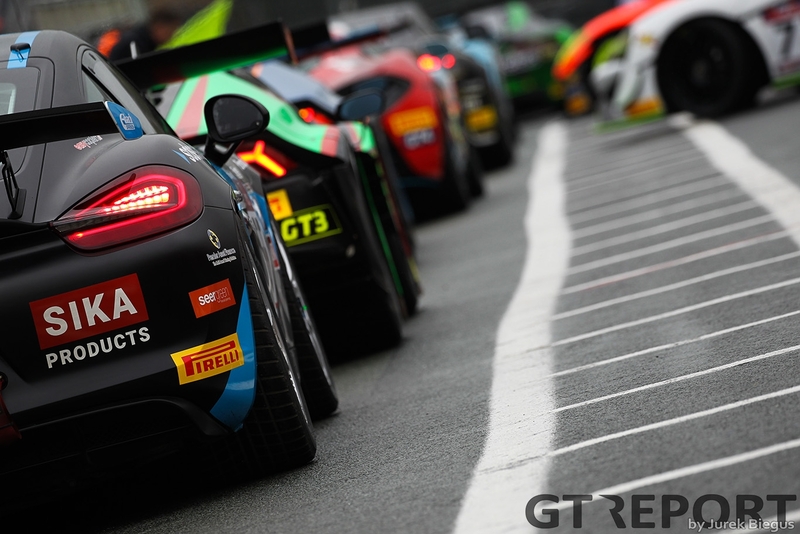 Jon Minshaw and Phil Keen were the pair to make those moves and they didn’t look back as they claimed victory in both of British GT’s one-hour races opening the season at Oulton Park. 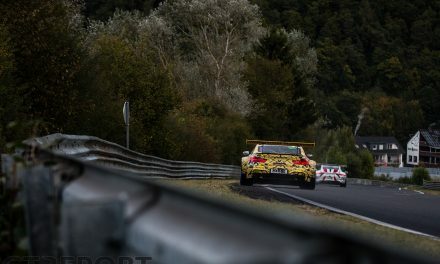 Under leaden skies, the first race was one suited more to boats than race cars – the sound of falling rain dampening the mood of everyone except the Barwell Motorsport Lamborghini crew. 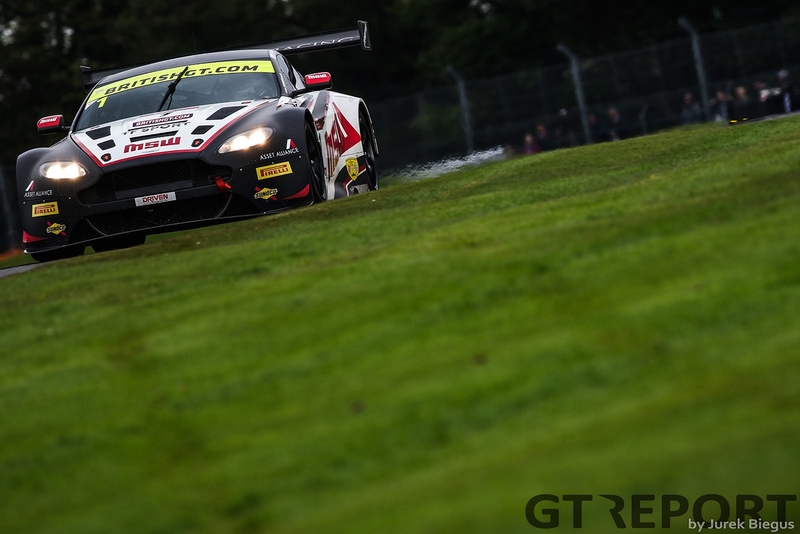 Confidently stating after the race that the Huracan works best in the rain, Minshaw blasted round the outside of pole-sitter Rick Parfitt at Old Hall and opened up a five second gap by the end of the first lap. By the time Minshaw pitted with just over half the race still to go, his lead would be touching 20 seconds. 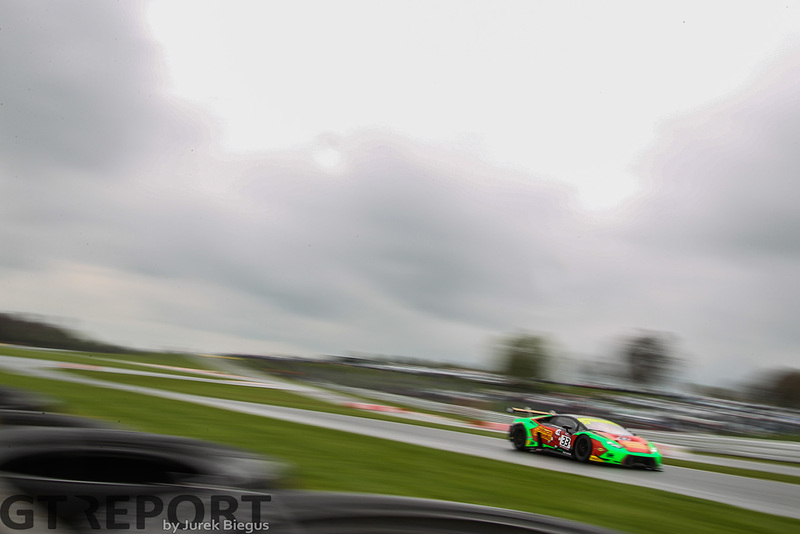 Keen would not let that slip and crossed the line 37 seconds ahead of the second Lamborghini of Liam Griffin and Sam Tordoff – the latter claiming second on his first race in British GT. 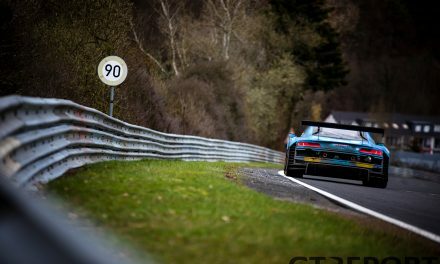 Third would go to Jonny Adam and Derek Johnston, the pair starting at the back of the GT3 grid in their TF Sport Aston Martin because of Adam’s WEC commitments. 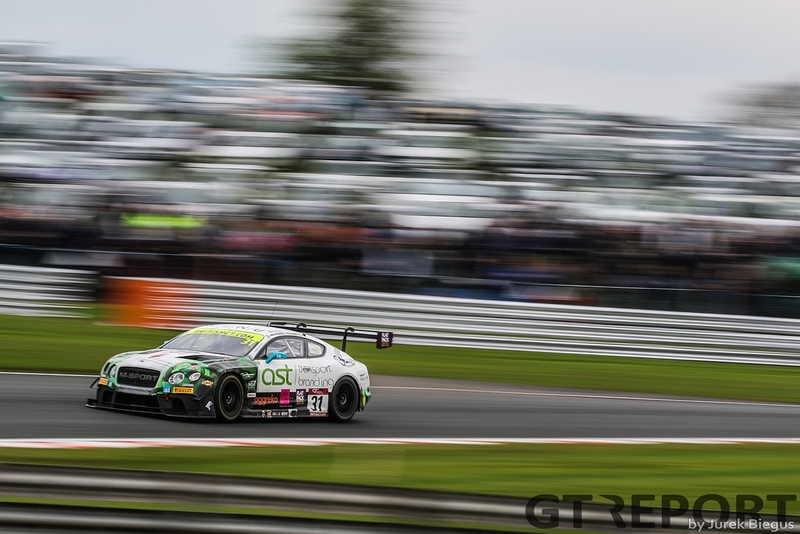 They would claim a podium after dispatching the pole Bentley Continental of Parfitt and Seb Morris, the Team Parker pilots unable to match the pace on the wet track. 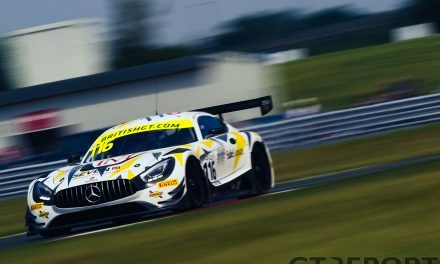 They would struggle in the dry too, as the second race began Morris didn’t even see Keen coming as he went right round the outside at turn one, followed closely by the second Team Parker Bentley of Callum Macleod. While Keen proceeded to disappear up the road, the Bentleys would have a nightmare. It started with an ill-judged lunge from Morris on Macleod at Hislops that sent them both off-track – earning Morris a drive-through for his efforts – and would end with Ian Loggie, having taken over from Macleod, tagging the Mercedes of Richard Neary sending them both into the barriers. The resulting safety car – and red flag five minutes from the end – would allow Minshaw to stroll to a rare same-day double victory and saw Johnston and Adam secure a second-place finish. Third place would go to the second TF Sport entry of Jon Barnes and Mark Farmer, a late spin for Farmer costing them a position to their fellow Aston Martin drivers. However, while some benefitted from the early finish, others really didn’t. 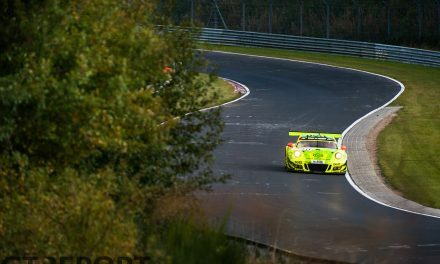 Matt Griffin and Duncan Cameron, also starting at the back of the GT3 field because of their WEC/ELMS commitments, charged through to fourth but saw their progress abruptly stopped. 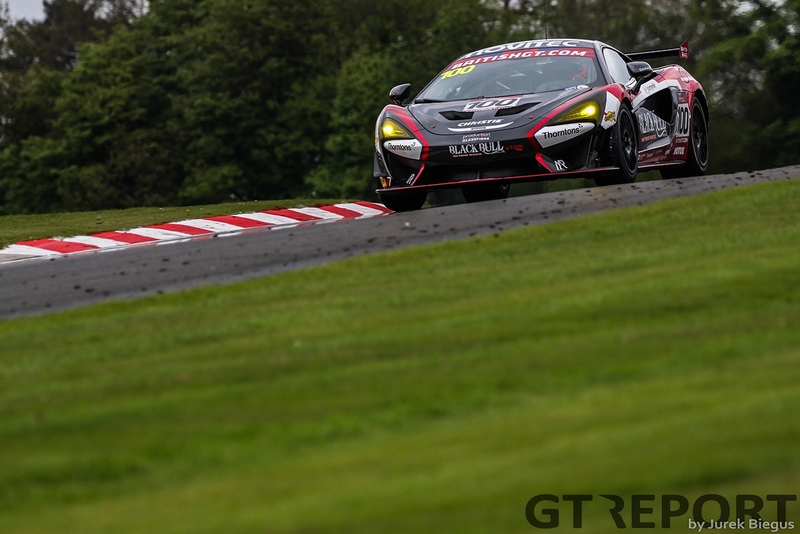 GT4 honours would be split between the two most popular manufacturers in the field as McLaren claimed victory in race one and Ginetta benefitted from a late penalty to wind up on the top step. Garage 59 would claim pole in their McLaren 570S but they couldn’t maintain the lead for long, and after the pitstops shook up the field, it was the track-club McLaren of Adam Balon leading the charge at the front of the widely expanded GT4 grid for 2017. His cause would be helped by a penalty to the Academy Motorsport Aston – an 18 second penalty for a short pitstop that kicked them down to third. The second race would be even more of a stinker for the factory Garage 59 car of Sandy Mitchell and Ciaran Haggerty. Recovering from a corner one shunt involving a number of cars deciding to barge their way past the young Scots, they would be leading as the safety car came out in the final 15 minutes. However, it was too good to be true and a short pitstop saw them given a 30 second time penalty – relegating them to seventh. A similar fate would befall Macmillan AMR’s Jan Jonck and William Phillips, running second for a time their 30 second penalty knocked them down to eighth. Benefitting though was Lanan Racing, they were sitting in third until a message flicked up on the timing screen – “car 51 to proceed to the podium” – confirmed the team of David Pittard, who hadn’t raced since the 2016 Silverstone 24 Hours, and Alex Reed would claim their first victory of the year in the Ginetta G55 GT4.